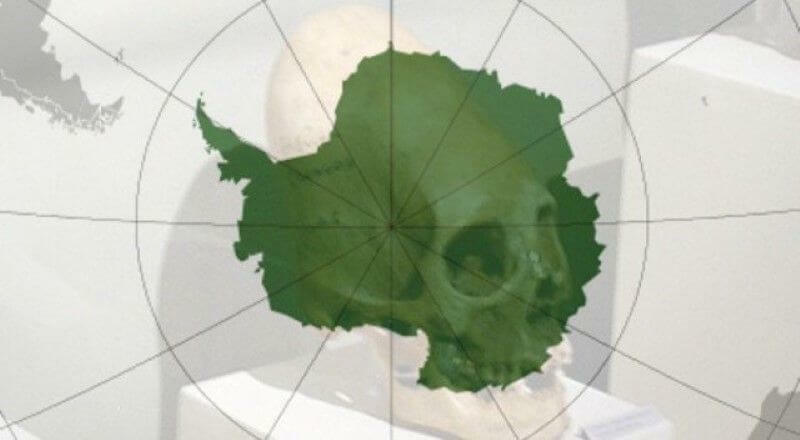 Home » Did the Smithsonian discover ALIEN skulls in Antarctica? An archaeologist and his team reportedly discovered three elongated skulls in Antarctica. American Live Wire, a self-described “entertaining news & information” website, published a story on April 2 claiming that Smithsonian archaeologist Damian Waters and his team uncovered three elongated skulls in La Paille, Antarctica. The article claims that this monumental discovery shocked scientists because the skulls are the first evidence of ancient humans in Antarctica. These elongated skulls are much, much larger than normal human skulls would be. Purposeful cranial deformation can change the shape of a skull, but it cannot increase the volume of the skull. In addition, these skulls have quite a few other important physical characteristics that greatly set them apart from normal human skulls. But before exploring the possibility of extraterrestrial origin, there are several other items in this article that raise questions. For starters, approximately ninety eight percent of the continent of Antarctica is covered by ice. Antarctica has research stations, but not cities, so it is unclear where La Paille, Antarctica is supposed to be. The article never cites a source for this major scientific breakthrough. There is no mention of such a discovery on the Smithsonian Newsdesk. And there is no mention of the alleged archaeologist Damian Waters on the Smithsonian website. An article with similar information was published on the website WorldNewsDailyReport.com on February 12, 2014. Both articles reporting this major discovery in Antarctica include the same photo of three elongated skulls (the photo included in this article). The caption under the photo on American Live Wire reads, “3 Elongated Skulls Found in Antarctica.” But this image is not of newly discovered elongated skulls. This photo is actually of three elongated skulls on display at the Regional Museum of Ica in Peru. The photo was taken by Marcin Tlustochowicz and uploaded to Wikipedia in 2008. It is possible that such a discovery was made. But it is highly unlikely given the lack of evidence to support the claims made in the two small articles.